Lykle de Vries | Coming up: Global Pecha Kucha Night for Haiti, February 20th! 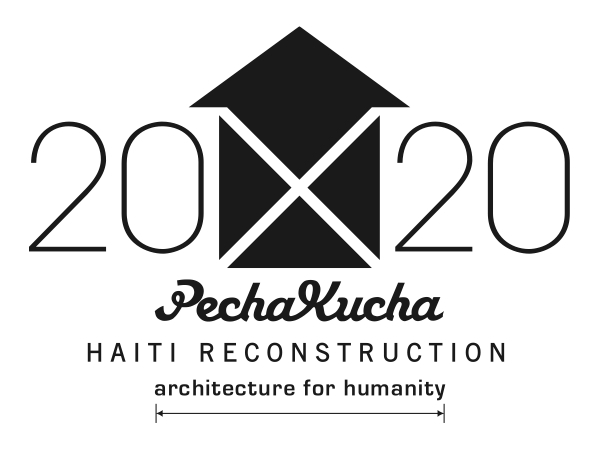 Coming up: Global Pecha Kucha Night for Haiti, February 20th! In a matter of seconds, thousands of lives and dreams were destroyed in Haiti. Following the tragedy, aid came from many quarters, in all shapes and forms. The global PechaKucha community is coming together with Architecture for Humanity to lend a hand in rebuilding Haiti and establish long-term solutions. Please help us spread the word about our global event in February: 20 images x 20 seconds, 200 cities, 2,000 presentations, 200,000 people. Rebuilding a nation 20 seconds at a time. Cameron Sinclair, Founder and eternal optimist @ Architecture for Humanity. On 20th February many of the 280 cities that host PechaKucha events worldwide will converge to present one continuous 24-hour edition of PechaKucha Night. Beginning in Tokyo 2003 as an online networking and exhibition event, PechaKucha has become a massive global event inspiring creative communities from Uganda to Norway. Kicking off at SuperDeluxe in Tokyo, where PechaKucha Night first started seven years to the day (20th Feb 2003), the a presentation ‘wave’ will travel westward, with cities presenting one after the other. Crossing all times zones and cultures, the ‘wavecast’ will be streamed live online on Ustream and will be viewable not only on computers, but also on any iPhone or Android handset. Some presentations intend to offer hope and encouragement through stories of past disaster relief projects, others simply inspire by showing the power of creative thinking. All of the 2,000 presentations generated from the one-day event – in what could be the world’s biggest single-day globally distributed conference – will be posted on the PechaKucha website, where visitors will also be able to make monetary donations to each presentation. 100% of proceeds will go to Architecture For Humanity which operates globally, and was instrumental in getting projects built after the Indian Ocean tsunami and Hurricane Katrina. In organizing this event PechaKucha intends to not only raise funds through pledges from host cities and contributions from individuals but also illustrate the power of innovative minds, creative passion and, most of all, sharing ideas for change and sustainability. First PechaKucha Presentation for Haiti by composed by Brian LeBarton (Beck) to photographs taken in Haiti by Francesco Valentino as he we was trying to find his family – is now live. All events in February are in support of PechaKucha for Haiti. Find a city near you. PechaKuchaWAVE broadcast on Ustream, viewable on any iPhone, Android handset, download the iPhone, Andriod player app now!